When Davenport is called to the white-stuccoed house, after the party, he knows it's for no usual case. For one thing, the strangulation victim is Alie'e Maison, she of the knife-edged cheekbones and jade-green eyes: as models go, one of the biggest. For another, there are a few small complications. Such as the drugs in her body and the evidence that she had recently made love to a woman. Such as the fact that one of Luca's own men had been at the party, and is now a suspect. Such as the little surprise they are all about to find when they search the house: a second body, stuffed in a closet, with a deep dent in its skull. The whole case is going to be like this, Lucas knows -- secrets piled upon secrets, the ground shifting constantly under his feet. But even he cannot suspect the earth tremors he is about to feel, when an old lover comes back into his life, a married woman now ... whose own secrets may turn out to be the most dangerous ones of all. 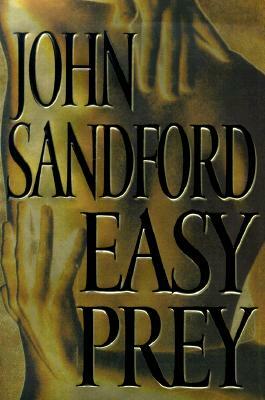 Filled with brilliant characters and exceptional drama, this is Sandford's most suspenseful novel yet.